Invest in your hearing – it’s your most valuable instrument! You need to hear clearly and comfortably when you play. A session on the stage or practice studio is enough to make anyone’s ears ring. 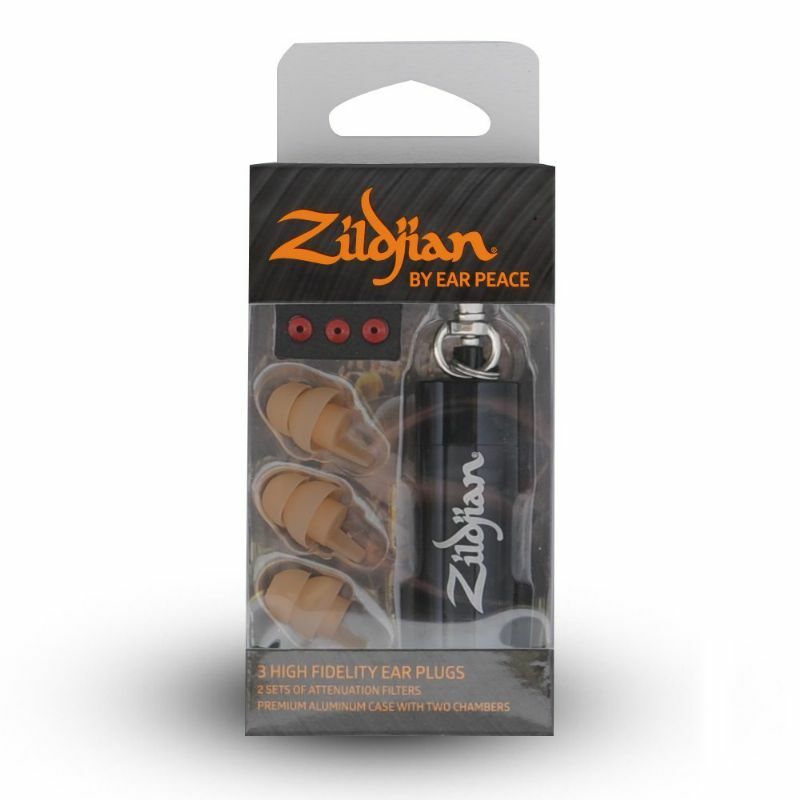 Zildjian and EarPeace have partnered to bring you the best hearing protection for drumming and live music. Sound - Keeps high notes crisp at a safe volume Comfort - Play all day, forget you’re wearing them Style - Low profile and virtually invisible in discreet skin tones Zildjian HD earplugs include three high fidelity earplugs, two sets of attenuation filters and a premium anodized aluminum case. Always read and follow detailed instructions - included with purchase.